All too often, in Chicago and Cook County, local governments seem to believe that every housing problem can be solved by levying more costs on property owners and making their lives more difficult! The most recent move in this directions is to bring rent control into the mix of regulations and requirements. Many tenant advocacy groups seem to think that all property owners are rich, heartless, and love nothing more than to gouge their tenants with unreasonable rent increases. There is little willingness to acknowledge that we live in a market economy where it is market forces that determine how much rent a property owner can charge or a tenant is willing to pay. But this is a subject for another article (stay tuned – more are on the way)! All too often, in Chicago and Cook County, local governments seem to believe that every housing problem can be solved by levying more costs on property owners. So it is refreshing to see our local branches of government consider new measures to preserve and expand the supply of affordable rental housing that also has the buy-in of property owners. And it is especially refreshing to see the cost of these proposals shared equally by all tax-payers, and not placed solely on the backs of property owners. The new proposal is intended to provide an alternative to the Class 9 tax incentive program. Class 9 was used extensively to give tax relief to property owners in exchange for limitations on rents and rent increases over a set period of time, but has declined in popularity as a result of changes in how real property is assessed in Cook County. Although it still exists, Class 9 no longer provides sufficient financial incentives to make it worthwhile for most property owners. Not that long ago, the Class 9 program was very effective in encouraging property owners to invest in their properties. Property owners would receive significant property tax reductions over a ten (or more) year period in exchange for set rents with predictable increases over the incentive period. Until the mid-2000s, Class 3 multifamily rental properties were considered to be commercial, like office buildings or industrial properties. As such, they were assessed at commercial rates which, for many years, were set at 33% of market value. Multifamily rental properties in the Class 9 program, however, were assessed at residential rates which were set at 16% of market value. But in 2008, the Assessor’s Office changed the assessment structure so that all residential properties, whether multifamily rental or owner occupied, were assessed at 10% of market value. This was great news for rental property owners, but meant that the Class 9 program no longer offered much value to property owners. As a result, the number of owners participating in the Class 9 program has fallen substantially over the past ten years. In response to the decline in the use of the Class 9 program, a working group of professionals from all sides of the affordable housing spectrum have come together to create a new state-wide proposal that would provide some of the same benefits of the Class 9 program, without relying on the local assessment structure to provide the relief. The working group has been led by Stacie Young, Director of The Preservation Compact at the Community Investment Corporation. 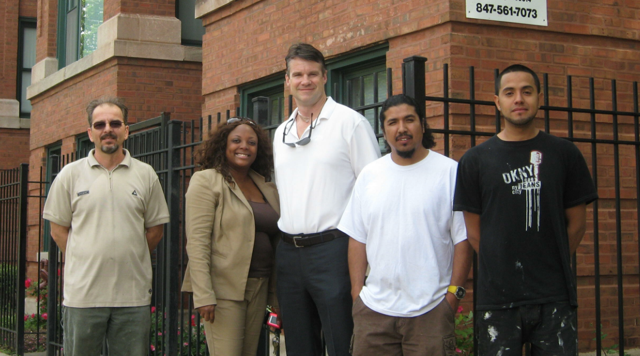 CIC is a community-based lender that has created and preserved thousands of affordable housing units across Chicago and the suburbs during their many years in business. In its earlier years, CIC played a key role providing mortgage credit to property owners in Rogers Park, Edgewater, and Uptown. This was at a time when the far North Side Lakefront was being overlooked by other lenders and mortgage credit was hard to find. As this area strengthened and became more attractive to conventional lenders, CIC has focused more attention on the South and West Sides of the city, where the housing market is weakest and the need is greatest. CIC remains committed to expanding the housing options for low and moderate-income Chicagoans throughout the region. The new tax relief program addresses the disparate needs and challenges of providing affordable housing, not just on the South and West Sides, but throughout the city and the region. The new program has a tiered structure, with two different levels of affordability and property tax relief. Historically, the Class 9 program was attractive to owners in weak markets, but offered little to owners with properties in strong markets. The affordability requirements were simply too high, making the Class 9 program ineffective in areas with better functioning markets and higher rents. Historically, the Class 9 program was attractive to owners in weak markets, but offered little to owners with properties in strong markets. TIER ONE (likely used in strong markets): Property owners complete required rehab, and maintain 15% of units at rents affordable to households earning no more than 60% of area median income (AMI) for ten years. In exchange, they receive a 25% reduction in equalized assessed value for the ten-year period. TIER TWO (likely used in weak markets): Property owners complete required rehab, and maintain rents in 35% of the rental units at levels affordable to households earning no more than 60% of area median income (AMI) for ten years. In exchange, they receive a 35% reduction in equalized assessed value. When the initial ten year period expires, owners may renew their participation for up to two additional ten-year terms, as long as the property passes local inspection from the Department of Buildings. According to Stacie Young, the Tier One program (pairing 15% affordability with 25% relief) could be expected to be most effective in transitional neighborhoods with rising real estate values. By looking at potential real-life examples, this program would appear to hold a lot of appeal for property owners in neighborhoods such as Rogers Park, Edgewater and Uptown. This plan is more than just a good idea by a bunch of policy wonks. The effectiveness of this program diminishes in neighborhoods that have already seen significant gentrification with very high current rents. The benefit of the tax relief relative to foregone rent in an established area such as Lincoln Park does not appear to be sufficient to get many property owners in such areas to take advantage of this new program. This plan is more than just a good idea by a bunch of policy wonks. Illinois Representative Sarah Feigenholtz (D-12th District) has introduced HB-5865 that would make this proposal law. On April 19, it was referred to the Rules Committee. We will keep our readers informed as this bill progresses through the legislative process. 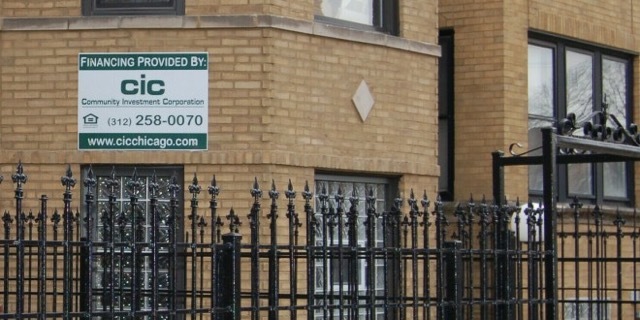 As an organization of property owners, RPBG is strongly in favor of market-based incentives that accomplish the dual goal of helping low and moderate-income renters in metropolitan Chicago reduce their “rent burden,” while still providing positive incentives to property owners who are willing to participate in these programs and agree to maintain affordable rents in a certain percentage of their rental units in participating buildings. RPBG is strongly in favor of market-based incentives that accomplish the dual goal of helping low and moderate-income renters in metropolitan Chicago reduce their “rent burden,” while still providing positive incentives to property owners who are willing to participate in these programs. Few of our members would argue against the need for affordable housing. You don’t have to look far to see evidence that the lack of affordable housing has become a major problem in Chicago. Look a little harder and you will see that the problem is only getting worse. According to the Institute for Housing Studies at DePaul University, the gap between the number of households in Cook County who pay 30% or less of their annual income on rent, and the number of rental units that are affordable to those households, is at an all-time high. As of 2015, this “affordability gap” stood at 188,000 households, up from 157,000 in 2007 just before the onset of the Great Recession. Countywide, 53% of renter households paid more than 30% of their annual incomes on rent in 2015. Among low (30-50% of AMI) and very low (less than 30% of AMI) income households, these figures are 85% and 90%, respectively. By these measures, it is clear that a large number of renter households in Cook County are “rent burdened.” This is especially true for the lowest-income households. At the end of the day, this is a win-win proposal. But acknowledging the problem is not the same as agreeing to the solution. Very few (if any) of our members would agree that Rent Control and other punitive measures are the best way to address these concerns. We applaud CIC and the other members of the working group who are trying to devise market-based solutions to the growing affordable housing deficits that impacts Chicago and its suburbs. We thank Representative Feigenholtz for introducing a bill that will turn this plan into law. RPGB will be an enthusiastic supporter of these, and other similar “market-based” approaches. We will be equally diligent in our fight against Rent Control and other heavy-handed “solutions” that force our members to bear an unreasonable share of the responsibility for solving problems that all members of our society should share. Last but not least, the proposed tax relief program could be a good deal for property owners in the Rogers Park community. Why would we, as property owners, want to pass up on the opportunity to do something for the public good that also does something good for us? At the end of the day, this is a win-win proposal. It is also a step in the right direction in finding a solution to a real and growing problem for Chicago and the region. And it does so without singling out property owners as the only group that must bear the cost. That is something worth supporting – and celebrating!